sam and i have been looking for spring with mixed success. have have seen the crocuses coming up (and a few other green friends), but for the most part, it's been downright frigid. 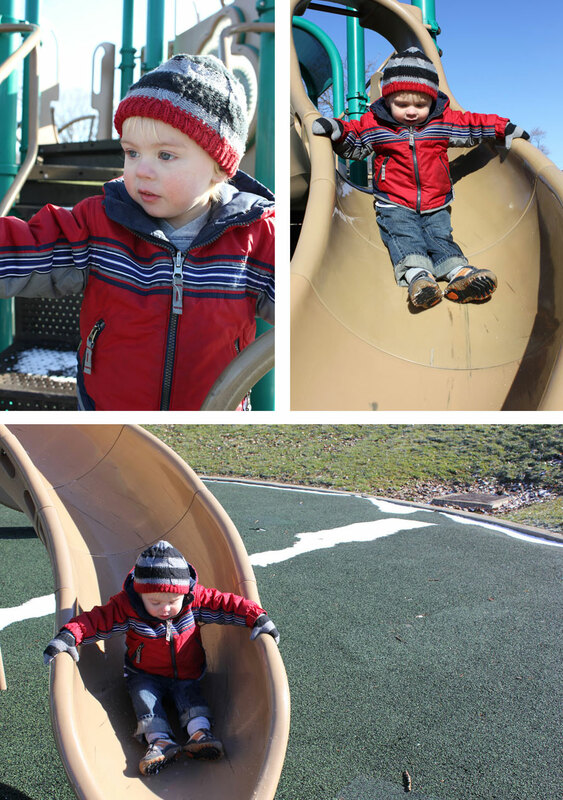 last week we sucked it up long enough to make a quick trip to the playground. the sun was shining brightly, but we had a hard time being convinced that it was gorgeous play weather while there was still snow on the ground. the trip did not last long and culminated in a tearful sam finally calling it quits and admitting that it was just too cold for this kind of outing. we're awfully glad for our nice, warm house and are remembering to say a little prayer for those who aren't so lucky.